The Workstation network of business centres just keeps on growing! We’re over the moon to announce that the next site of ours to open will be in Southampton at the beginning of September. It’s always an exciting time when we branch out to a completely new location but our new Southampton business centre is made all the more special because of this grand building’s historical significance in the local landscape. Located close to Southampton city centre, this building once served as home to a number of the Ordnance Survey’s Director Generals. A Grade II Listed regency building, it was built in 1840 by local architect, Samuel Toomer serving as the Toomer family’s private residence until 1865. The property changed then changed hands and was acquired by the Ordnance Survey for the specific purpose of housing the Director General. The first Director General to occupy the house was Major Henry James (who later became known under the title: Lt General, Sir Henry James) and he was followed by his successors until 1900 when during Sir Duncan A Johnston’s residency the building ceased to be used as the official home for the Director General of the Ordnance Survey. You can find out more about Director General’s House on the Ordnance Survey website. And, if you look carefully on the image above, you can see that there’s a blue plaque by the entrance to commemorate the importance of this impressive building that we’re now proud to call our home in Southampton. 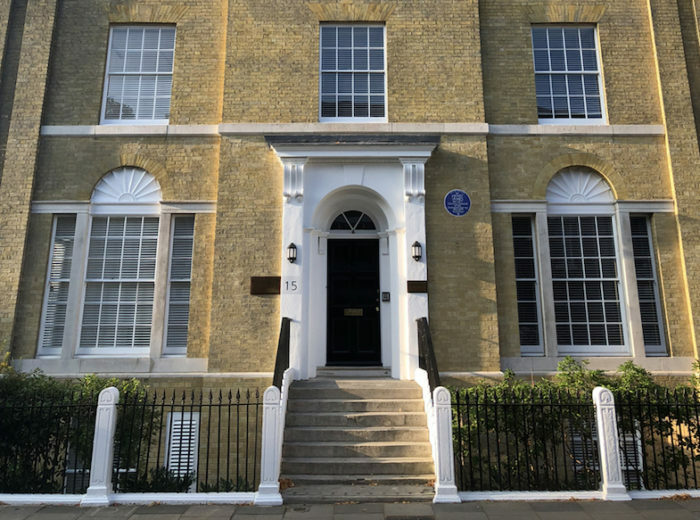 Although Director General’s House once served as a home to some very important people, the building has since been renovated throughout to provide office accommodation. Its location on the outskirts of the city means its well-placed to provide easy access to both the centre and major transport routes leading out of the city via roads, rail or air. With the addition of a sympathetic extension, our Southampton business centre offers a mixture of open-plan and cellular office space over 5 floors. As well as office space, we also provide virtual office services from this location. To find out more about our latest business centre in Southampton, please visit the Director General’s House page. If you have any questions or would like to arrange a viewing of our available offices to rent at this site, please get in touch via email or call us on 01727 260 177.